academic settings, especially those students who are transitioning from secondary to post-secondary education. It provides a coherent synthesis and summary not only of the scope and nature of the changes but of their practical implications for program administration, course design, and classroom instruction, particularly for writing courses. 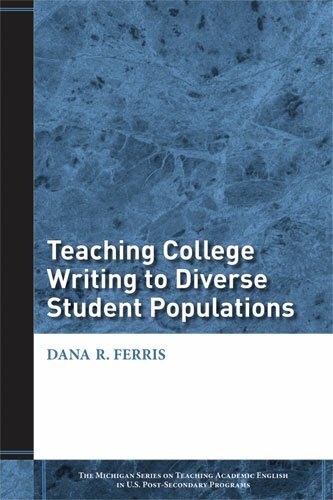 For pre-service teachers and those new(er) to the field of working with L2 student writers, it offers an accessible and focused look at the "audience" issues with many practical suggestions. For teacher-educators and administrators, it offers a resource that can inform their own decision-making. John Hedgcock is Professor of Applied Linguistics at the Monterey Institute of International Studies.Dana Ferris is Associate Professor in the University Writing Program at the University of California, Davis. Curricular Questions: ESL or Mainstream Courses? Curricular Questions: Which ESL Course? Who Should Score L2 Student Writing? Serving Diverse L2 Student Audiences: Where Do We Go from Here?